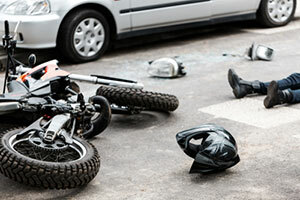 If you have lost a love one or happen to be injured due to a motorcycle accident in Jupiter, Florida, you may be entitled to damages recovery for your harms and losses. Maybe an insurance company has approached you with an offer already, but do not accept anything before speaking to a Palm Beach injury lawyer. In our experience, they try to pay as little as possible to good folks who get injured in motorcycle accidents by offering an amount of money that is not realistic for covering the injury-caused expenses. Instead, the best advice is to always seek legal help first. Call our Jupiter motorcycle accident attorneys at the Wolfson Law Firm for help to determine whether you have a compelling case and how to recover for damages that you deserve. You can reach out to us at 305-285-1115 for your free consultation. Jupiter, Florida, is the northernmost city of Palm Beach County and one of the northernmost cities in the Miami metropolitan area. It is located between the Florida Turnpike on the west, the Atlantic Ocean on the east, and the village of Tequesta on the north. On its southern side, it borders with Palm Beach Gardens and Juno Beach. Around 68,000 people call Jupiter, Florida, their home. About 90% of them speak English as their first language. The median household income is at $55,000, and the per capita income for the town is $45,500. The name of the town was derived from plenty of misunderstandings by Florida mapmakers. The first name of Jupiter was Hobe, after the Hobe Native American tribe that had inhabited the area in the past. A mapmaker who mistakenly thought the name was Spanish spelled it as Jove. Later, mapmakers anglicized the name Jove into Jupiter, again a misunderstanding of the meaning of the name. However, the name today is Jupiter. No doubt, getting injured in a motorcycle accident in Jupiter or anywhere else in Palm Beach County puts you in need of the best Palm Beach motorcycle injury attorney you can identify. We have helped motorcycle accident victims in Florida since 1963 and have seen many people who tried to do it by themselves. But most often it turned out to be an exercise in futility. Insurance companies deal with unrepresented people every day and know how to take advantage of them. If you want to get the fair compensation for your motorcycle injury-related harms and losses that you deserve, call the Jupiter motorcycle accident attorneys at the Wolfson law Firm for assistance. Call us at 305-285-1115. Our consultations are free. We handle cases on a contingency basis, so you pay nothing unless we recover for you.